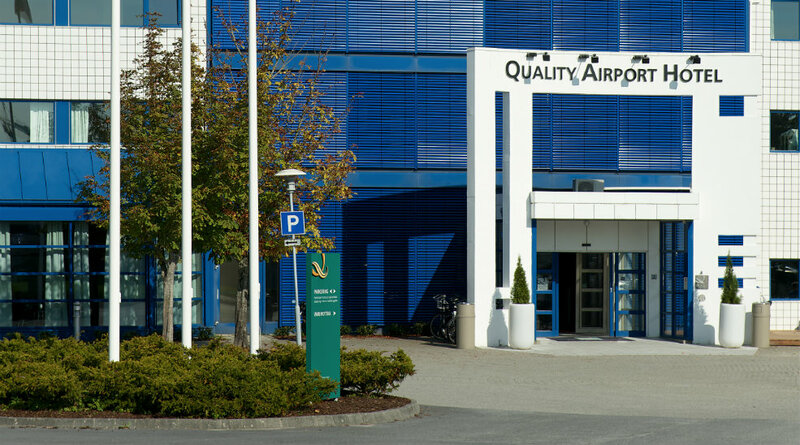 Below you'll find useful information for those of you planning a stay at the Quality Airport Hotel Stavanger. Please don't hesitate to contact us in case you have any further queries. Those of you arriving by car can use the parking facilities just next to the hotel. Parking is free of charge for hotel and conference guests. The Quality Airport Hotel Stavanger is a cash-free hotel. This provides a safer working environment for our staff as it reduces the risk of theft and burglary. It also means that we have more time to spend on taking care of our guests. For guests it means faster and more secure payments. We accept all major debit and credit cards. Please contact us for more information. No problem! We sell just about everything you might need in the reception including toothbrushes, toothpaste, razors, shaving cream, shampoo, shoe polish and sewing kits. Need something we don't have? Just let us know and we'll help you get it.